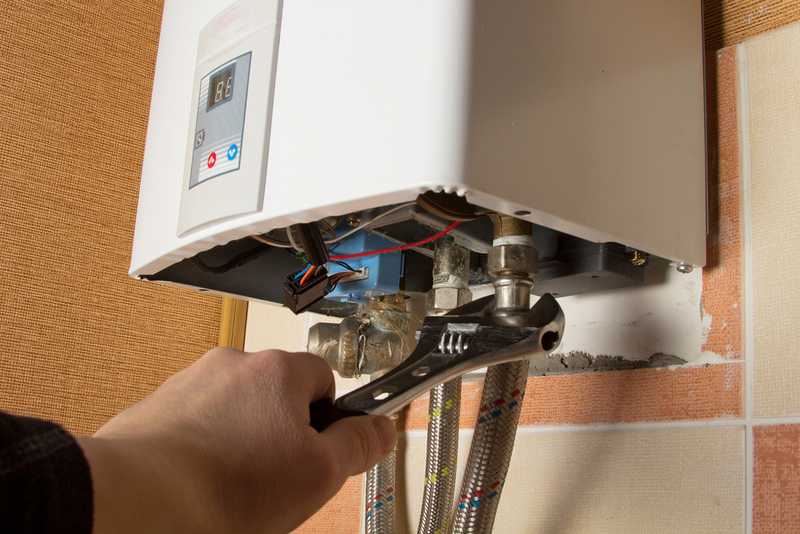 One of the most common causes for your combi boiler losing pressure is that there is a leak somewhere in your property. The problem is that it can be very difficult to find out exactly where this leak is coming from as most buildings have piping running throughout the entire structure. The leak may show no obvious signs (water dripping down the walls or through the ceiling) and if it’s beneath the screed flooring it can be extremely hard to locate. People often blame the boiler itself and even bought a brand new one only to have the exact same problems. We have a huge amount of experience in this field and use a variety of innovative technology to find and repair the leak. This is the number one of cause of your combi boiler losing pressure and with our help you can find the source with east. This is because we use the very latest in thermal imaging technology that can see through your walls, ceilings and floors to pinpoint the exact location of the leak. It also means we don’t have to pull up any floorboards or remove parts of your wall until we are 100% positive we know where the leak is. We have worked on huge projects in the past including manor houses and listed buildings. Our unobtrusive methods of leak detection make us the number one plumbers to do this. And, although we are based in Cheshire, our service extends across the whole of the UK. So, if your combi boiler is losing pressure let us get to the source of the problem and save you time, effort and money. You can get in touch with us at any time for a free quote or to ask us any further question. Cheshire Plumbers (prop. Simon Brady) provide high standards of workmanship & a reliable service, serving the local community areas of South Cheshire. We provide a wide range of services including plumbing and heating, underfloor heating, thermal imaging and leak detection. @SAMSIANGAS Watching film 'Saw' ? @AstralPlumbing @BMWMotorrad @LindMotorradWGC Snap same one I got! Best I've ever had! What is that clock upgrade?